Description: ABSOLUTE MUST SEE HOME FANTASTIC LOCATION! 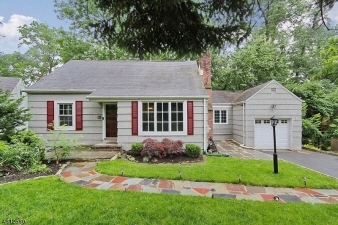 This picture perfect cape cod style home is located on a quiet tree lined cul-de-sac in a highly desirable neighborhood convenient to everything: shopping, - schools & NYC trans. Just pack your bags & move right into this special home that boasts: 3 bedrooms, 2 full baths & 1 car garage. The floor plan is a perfect layout for comfortable living. This special home features: formal living room w/wood burning fireplace, formal dining room w/chandelier lighting, eat in kitchen w/door leading to the oversized deck, sunroom, full finished basement w/recreation room, home gym, laundry room, storage room and so much more! The private backyard is perfect for outdoor relaxing or entertaining. Seller including 1 year home warranty at no cost to buyer! Click Link For The Tour!